SPRINGVALE’S newest towering landmark is set to be officially unveiled after years of delays and wrangling over cost and design brawls. 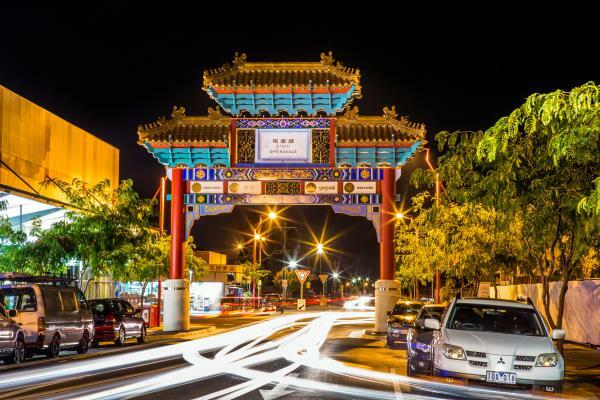 The 12-metre tall $750,000-plus Asian Gateway at Buckingham Avenue will be opened on Saturday, standing as a victory for compromise as much as persistence. A proud SABA president Daniel Cheng said the landmark would be a beacon for tourism. “It will be a gathering and photo shooting point for families and friends and visitors from interstate and overseas,“ he said. “It would also be admired by many visitors and shoppers when they see such a magnificent gateway – so well designed – that stands out in a hustling and bustling shopping environment. 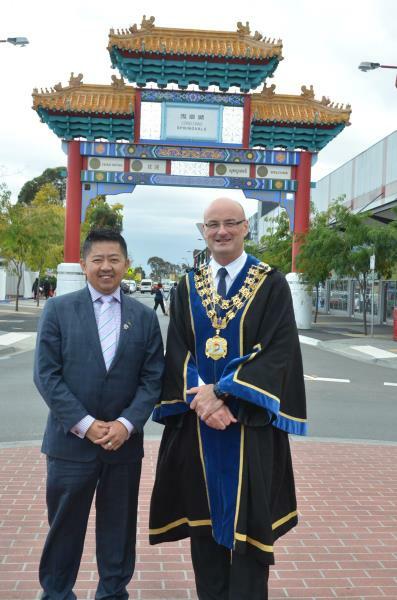 Mayor Sean O’Reilly said the prominent archway would add “vibrancy” to the business activity centre and reinforce Springvale’s status as an Asian hub. 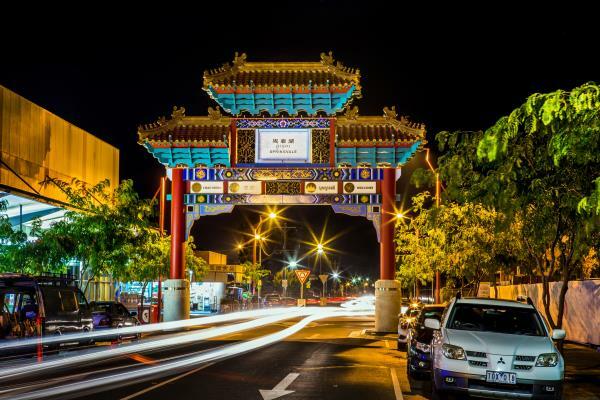 “(The archway) is twice as big as the one in (Melbourne’s) Chinatown. “The traders are just so good at working hard and getting customers. The opening comes five years after Springvale Asian Business Association’s protracted project won state funding. 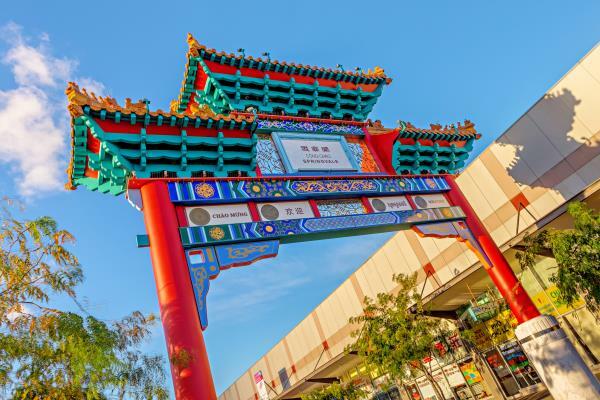 An early design was derided by South East Melbourne Vietnamese Association for being “too Chinese. A final compromise version featuring four panels with calligraphy representing the Chinese, Cambodian, Vietnamese and English communities was not couched until late 2013. Last year, Greater Dandenong Council – one of the co-funding partners – took over project management after fears the $600,000 project could balloon to cost more than $1 million. Part of the expense was the need for overseas components. A council report last year stated that the final cost would be reined in to $780,000 – with the council to fork out the extra funds in its mid-year budget. SABA contributed $200,000 to the project and the State Government $175,000. The archway will be launched on Saturday at 11am.